The Thanksgiving turkey is mostly gone and I consumed far too much of it. But, it was a wonderful time to reflect on the many things I know I am personally thankful for. I hope all “Friends” took time to enjoy similar reflections. For “Friends of Copey”, everyday is a day of “Thanksgiving”. Graduation at the Copey Learning Center was held Friday and just look at these precious photos and the smiles. Several are AGB Scholarship recipients. Another year is complete and school is out until February 2019. But…work continues! We enjoy seeing the joy and pride on the faces of many of these students. “Graduation” day is a very important day in the lives of these students and it flows over to the parents as well. 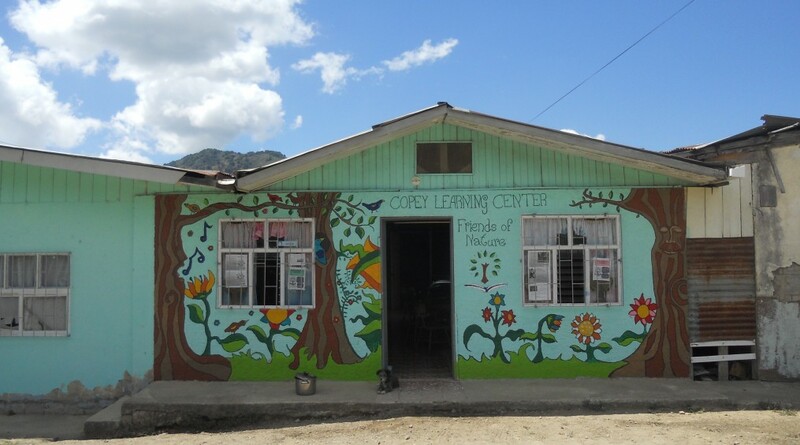 The unique opportunity for these students to attend the Copey Learning Center to learn English does not go unnoticed by nearby Costa Rican communities. Today, most parents and students living away from Copey can only observe this unique opportunity and hope one day a Learning Center will come to their town. Next month…I will begin wrapping up the information to provide all “Friends” an accounting of our efforts and performance during 2018. Those following closely this year already know there has been some absolutely amazing accomplishments. Next month, we will completed five full years of support under the banner of “Friends of Copey”. So much has happened. So many old and new “friends” have become involved. So many stories have been born and have been shared. Lives have been impacted and as it has often been said…“the giver is often the receiver”. One of my favorite things to do is to go back and just read the titles of Posts I have written. And, as time permits, I will read the quotes I included hoping that if the Post itself does not touch you, perhaps the quote will convey a message of purpose and meaning. Both together, the title and quotes provide a trail laying out this unbelievable journey we have shared. I have never approached a job or a task before where I was completely dependent on another’s trust and confidence, willingness and generosity. As we started this journey, “friendship” was the foundation and glue needed to give this a chance for success. Five years later, we know that “friendship” and all this entails has been the driver sustaining this project. So, when I reflect on “Thanksgiving”, I know this project has been BLESSED...and I know our “friendships” have been the driving force. For you…I am Thankful!